I reviewed the single last month, now check out the awesome video for it! “Easy Does It” is the new single from modern glam/sleaze rock ‘n’ rollers Wildstreet (set to be released through iTunes on January 24th). 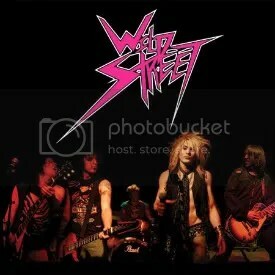 Though a Wildstreet III album is a ways off, the band wanted to give the people a taste of what’s in store once that third release does arrive. I came across this band years ago while browsing Retrospective Records’ site and ordered the debut from there and loved it. The first album was very much inspired by the slick glam metal and Def Leppard sounds. The Wildstreet II E.P. was a bit of a departure that went for a more sleazy & raw sound that was influenced by AC/DC and High ‘n’ Dry. “Easy Does It” continues Wildstreet’s path down the road of straight up no-frills rock ‘n’ roll. It’s easier to compare the song to Wildstreet II but as much as I liked that E.P., I think “Easy Does It” is even better and it gets me excited for the third release as the band continues to find their own rock ‘n’ roll identity. If you’ve missed out on this band, track down their first two releases. You won’t be disappointed. Then, make your way to iTunes on 1/24/12 and purchase “Easy Does It” and watch out for the “Easy Does It” music video that will be premiering on January 30th. 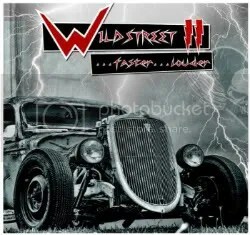 Wildstreet – II …Faster …Louder! Wildstreet debuted in 2009 with one of my favorite albums of that year, so I was very pleased to discover new Wildstreet music was coming in 2011! What I didn’t expect was the shift in sound. The debut was pure Mutt Lange/Def Leppard worship. That’s not a knock. I love the Lange/Leppard sound and Eric Jayk did an amazing job giving us some of the slick pop-metal that I wish Def Leppard would still write. So what does Wildstreet sound like now? Like a much more loose, raw rock ‘n’ roll band. This EP is a much more stripped down affair with a bluesy hard rock influence that brings to mind High ‘n’ Dry-era Def Leppard or the other band Mutt’s known best for — AC/DC. For as much as the debut set out to out-Leppard Leppard, don’t think that this album strives to be an AC/DC clone. They haven’t decided to become another Airbourne or anything, the glam-metal and sleaze factor is still there… It’s just not as produced and polished as the debut and this was all done purposely in order to match the band’s live performances and Jayk even sat out on playing guitar for this record to help achieve that goal. Jayk & Co. have set out on their own rock ‘n’ roll path this time around, instead of following in the footsteps of their idols, and you can only respect them for that. They aren’t trying to sound like anyone anymore other than a rock band that knows how to have a good time and write catchy tunes. Credit also goes to producer Kyle Kelso who encouraged the band to take the less-produced route and has helped the band with getting Hollywood to take notice. So far, songs have been licensed out to various television shows: E! Entertainment’s Married To Rock, TBS’ Glory Daze and VH1’s upcoming Saddle Ranch. Pretty cool! It’s always great to see your favorite bands grow and gain a bigger audience. I remember coming across a listing for their first album purely by chance at Retrospect Records’ website. I then went to their MySpace page and immediately had to have the album after hearing them. I think the debut went unnoticed by many fans and rock/metal sites so it’s great to see Wildstreet is not only continuing to put out great tunes but are also on their way to getting everything to achieving the success they deserve. This EP will be available for digital download (iTunes, Amazon, etc.) on January 25th with a physical copy pressing to follow shortly and I’ll happily put down my cash to pick it up. If you missed out on Wildstreet the first time, January 25th is your second chance to check out this great young rock ‘n’ roll band. In the meantime, go back and buy their debut! Highlights: Oh… All of it! Since Def Leppard is apparently content to not to do any new material featuring their trademark “Mutt Lange sound”, a few other bands have stepped up to the plate and are knocking out home runs. 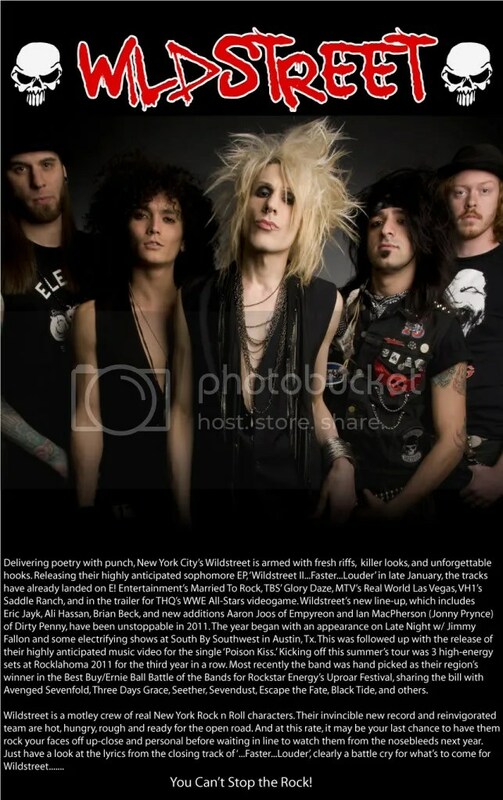 Loudlion is one of those bands, but they seem to be more a goof for MySpace than anything serious and their few songs are knockoffs of actual Def Leppard songs. So that leaves us with Wildstreet, who fortunately are giving us the “Mutt Lange sound” with songs there aren’t directly inspired by existing Def Leppard songs. That said, the band REALLY does sound like Def Leppard. From the drums to the gang vocals to Eric Jayk’s own vocals (though he can get higher than Joe Elliott can or could), a less informed listener may think this very well was Def Leppard! I only came across this band and album by chance. I was looking to order Freakshow’s debut and ended up at Retrospect Records, which is also the label of Wildstreet. One click to Wildstreet’s MySpace page, and then I was hooked. I just can’t get over how fun this album is and it’s another contender for 2009’s Top 10. It’s also great to see the album didn’t wear out it’s welcome with the number of songs, as too many tracks can often kill the momentum and overall quality of an album, but Wildstreet hits it just right with 9 tracks and leave me wanting more! Just like the best albums should! Take note, Def Leppard, and leave the country music and “adult mainstream” sound alone next time!